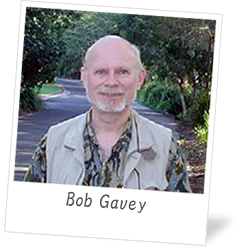 Hello, I’m Bob Gavey, chief instructor of the Scientific Rewriting and Coaching Service presented by World Translation Services. For more than 25 years, I’ve been editing texts in English written by Japanese researchers and others for publication in various media, particularly overseas scientific journals. And one thing I’ve noticed over the years is that it’s difficult for Japanese people writing reports in English to receive advice and feedback about how to avoid making the same mistakes again and again. They need some way to improve their written English expression, but it has to be customized to their own personal requirements. That’s why we’re offering the Scientific Rewriting and Coaching Service. Our objective is to give you, as a Japanese person already writing scientific reports or other texts in English, the opportunity to steadily upgrade your written communication skills in an easy and personalized way. We hope you’ll join us. I’m looking forward to answering your questions and giving you lots of useful advice and suggestions. ●Born in Wellington, New Zealand, in 1951. ●Educated at Onslow College and Victoria University, Wellington. ●Accredited in English, Mathematics, Physics, Chemistry, and French. ●Majored in pure mathematics, philosophy, and logic systems. ●Worked in a variety of positions, including for the Australian and New Zealand governments. ●First arrived in Japan in August 1981 for a two-year stay, then returned in February 1986 and became a permanent resident. ●Has been working as a professional editor and instructor in Japan for more than 25 years now, specializing in the preparation of scientific papers for publication in overseas journals.